Prosthetic technology has made great strides in the last few decades, where they can now coordinate with wearers better than ever before, to help them maintain control over their surroundings. Some modern-day prosthetics can even provide a degree of sensation, which, again, enables wearers with a perception of their environment. Being able to 'feel' using a prosthetic limb is important as users enjoy a sense of empowerment. But despite the advancements made in this area, an artificial sensation is still much more difficult than it would be with real limbs. A large part of this problem is that artificial limbs cannot feel pain, or rather, convey this feeling to wearers. For example, if an individual smacked their arm against something rough or sharp, the brain would know about it, virtually, without delay. This action would result in an impulse to move the arm away from the surface or take other measures to minimize any injury to the limb. But a person wearing a prosthetic limb may not be as vigilant (although this may depend on which part of the limb is experiencing damage). These advantages are largely conferred by the nervous tissue in the skin, which is largely composed of free nerve endings belonging to categories of nerves known as Aβ and C nerve fibers. This tissue is also supported and augmented by various mechanoreceptor types (e.g., corpuscles of Pacini and Meissner, Merkel cells and Ruffini endings) and Aδ fibers. The main pain fibers send very rapid signals to the brain along the spinal cord, which (at least theoretically) results in equally rapid responses. The ‘support’ tissue largely exists to send slightly slower or more complex information about the nature, magnitude, and location of the painful (or noxious) stimulus, in question. Therefore, noxious information is perceived as very urgent and important, while being simultaneously fine-tuned enough that a small scratch, for example, is not perceived as a huge laceration. Prosthetic limbs, on the other hand, lack this system completely. One reason is that it is a part of the epidermis, a complex organ that engineers yet have to recreate convincingly. 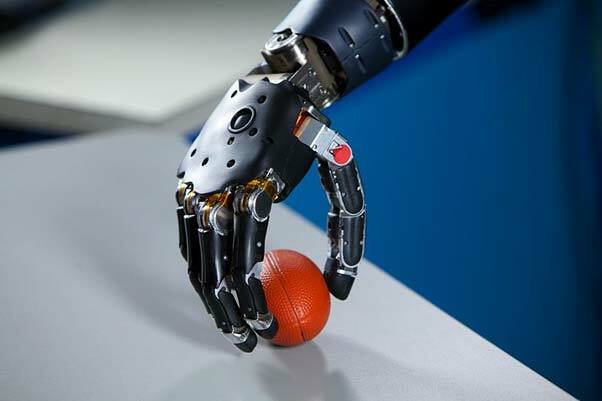 Another reason could be that prosthetic science has, in the past, largely focused on motor and basic sensory control for patients who use artificial limbs. Therefore, the external coverings of some prosthetics (e.g., the tips of fingers) have been developed to deliver analogs for sensation, but not much more. A team of researchers from Johns Hopkins School of Medicine and the National University of Singapore decided to address this concern. They developed a slightly more complex artificial ‘skin’ for the fingers of their prosthetic arm. During testing, the prosthetic allowed a study participant to distinguish non-painful, or innocuous, stimuli from noxious stimuli. More specifically, the individual was able to pick up test objects with the same basic width (as they were essentially squashed cubes) but with protrusions of different shapes sticking out at either end. One shape was a half-sphere, one a cone and the other was a sharp point. It was seen that the participant was capable of significant levels of discrimination between the three shapes. In addition, the volunteer also received an impulse to drop the sharp object as it was noxious in nature. It was observed that he was more likely to do this when grasping the sharp object compared to the other two. 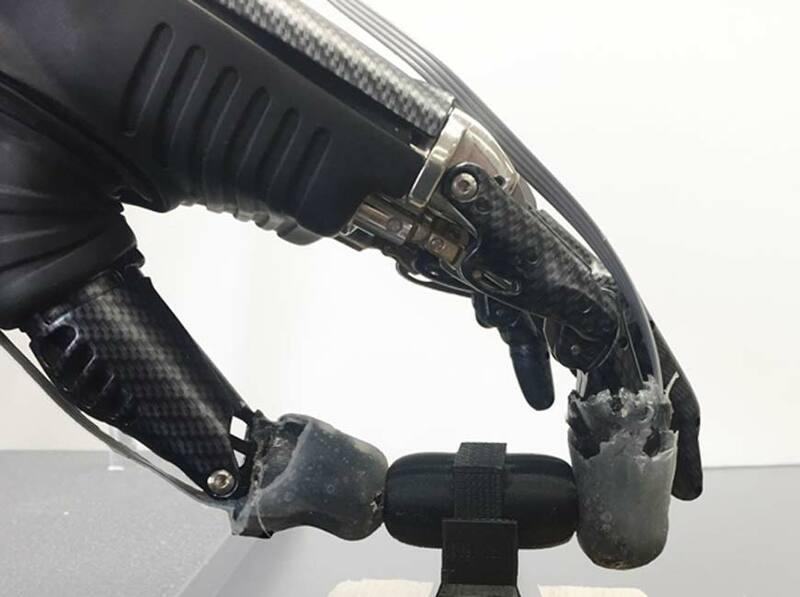 This additional level of prosthetic sensation was achieved by adding a conductive and piezoresistive element to the ‘epidermis’ of the limb’s fingers, which were made of a textile layer overlaid by rubber. This substance was placed on top of the ‘dermis,' another rubber-and-textile sandwich which had piezoresistive sensors. Therefore, it was evident that the artificial epidermis or the "e-dermis" (as the Singapore/John Hopkins team dubbed it) was capable of delivering another aversive layer of sensation to the participant. The volunteer, chosen because his remaining arm tissue retained robust nervous activity, then worked with the prosthesis in order to coordinate its sensory and motor abilities with his own. 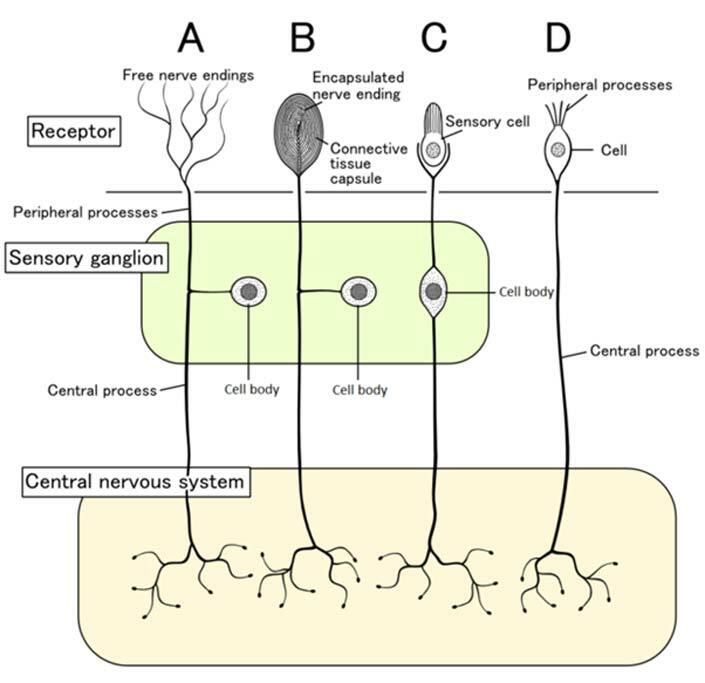 This was done using the Izhikevich model of neuromorphic transduction. As a result of this implementation, the study participant was able to perceive the e-dermis’ sensory information, which was delivered using the transcutaneous electrical nerve stimulation (TENS) technique, as his own. The researchers also reported that the noxious sensations varied depending on how users grasped sharp objects (e.g., from differing angles of approach or grasping intensity). This is an encouraging observation as the amount of pain resulting from many stimuli can be determined by factors such as these. For example, a thorn can stop hurting so much once your finger is withdrawn from it. But there are many other types of noxious stimuli (e.g., pain resulting from chemical or thermal exposure) that this project did not cover. 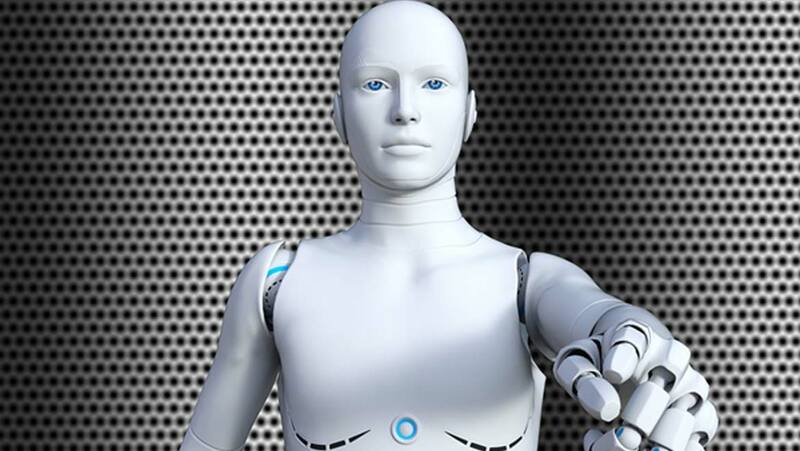 Therefore, much more work needs to be done before we can truly say we can provide robotic replacements for lost limbs. However, the development of the ‘e-dermis’ remains a positive first step in the development of full pain perception for those who need prostheses. L. E. Osborn, et al. (2018) Prosthesis with neuromorphic multilayered e-dermis perceives touch and pain. Science Robotics. 3:(19). C. M. Oddo, et al. (2016) Intraneural stimulation elicits discrimination of textural features by artificial fingertip in intact and amputee humans. eLife. 5: pp.e09148. S. Nobukawa, et al. (2015) Analysis of Chaotic Resonance in Izhikevich Neuron Model. PLoS One. 10:(9). pp.e0138919.